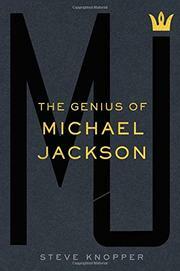 A critical biography of the King of Pop that tries to keep the art at the forefront. By the end of his life, Michael Jackson (1958-2009) served as more of a punch line than an embodiment of genius. In this fine book, Rolling Stone contributing editor Knopper (Appetite for Self-Destruction: The Spectacular Crash of the Record Industry in the Digital Age, 2009) does not shy away from prurient details, but he keeps his eye firmly on the reasons why Jackson was revered for so long by so many. Tracing Jackson’s life and career, from his upbringing in Gary, Indiana, to the Jackson 5, solo fame, and through his death, the author reveals a complicated, workaholic, tortured, sensitive soul, a peerless performer who had conquered the entertainment world in the 1980s, especially in the wake of his epochal album “Thriller,” but who by the new millennium had seemingly lost all contact with reality, beset with economic woes and accusations of pedophilia. The musician’s father, Joe Jackson, comes across especially poorly, while Knopper debunks or challenges some of the ugliest myths and rumors surrounding Jackson’s life, especially in his later years. One of the book’s clear strengths is its immediacy, the result of more than 400 interviews. Its biggest weakness is a lack of an introduction or any effort to lay out an analytical framework or explicate an argument. The author is also occasionally sloppy with chronology. Nonetheless, Knopper writes with verve not only about the music business, but also about music and performance. He conveys Jackson’s drive and brilliance while also being cleareyed about his demons. He also captures the inherent tragedy of the arc of Jackson’s biography, something that will come through especially clearly for readers who will almost certainly want to revisit Jackson’s back catalog. Michael Jackson was, indeed, a genius. But he was undoubtedly a troubled genius, as this sweeping biography reveals.